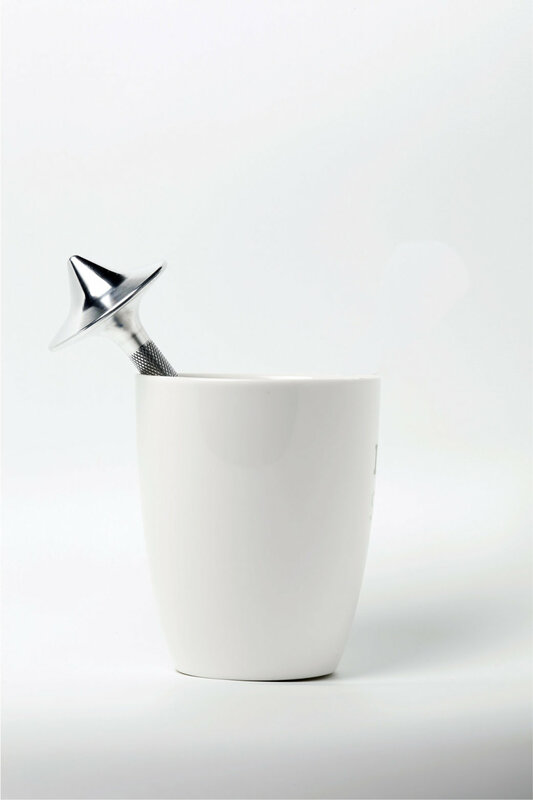 It’s a pen, It’s a top, it’s a way to liven up meetings and conference calls. See who can spin theirs the longest! Made in USA. Do you spend a lot of time in meetings and conference calls? So do we! During meetings, you need to take notes but we often found the need to keep our hands occupied without getting too distracted. A Totem Pen facilitates both of these goals. 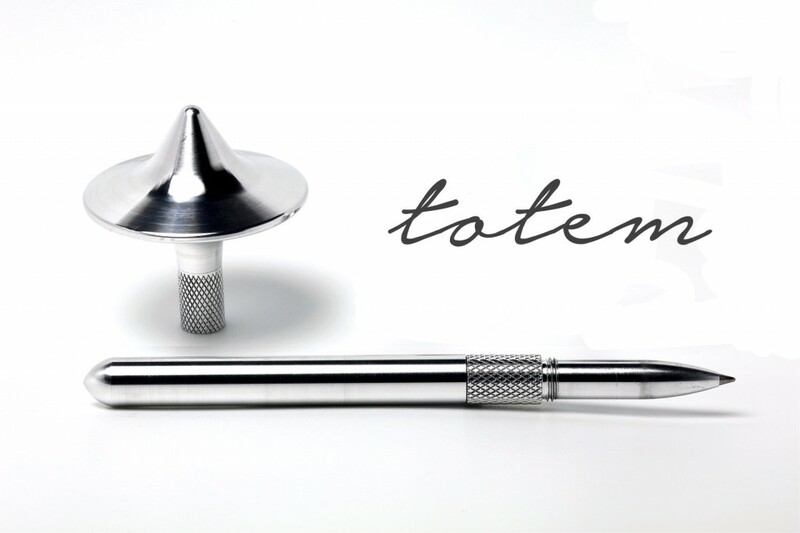 The Totem Pen combines a high-quality writing tool with a spinning top. Just unscrew the cap and spin the top. 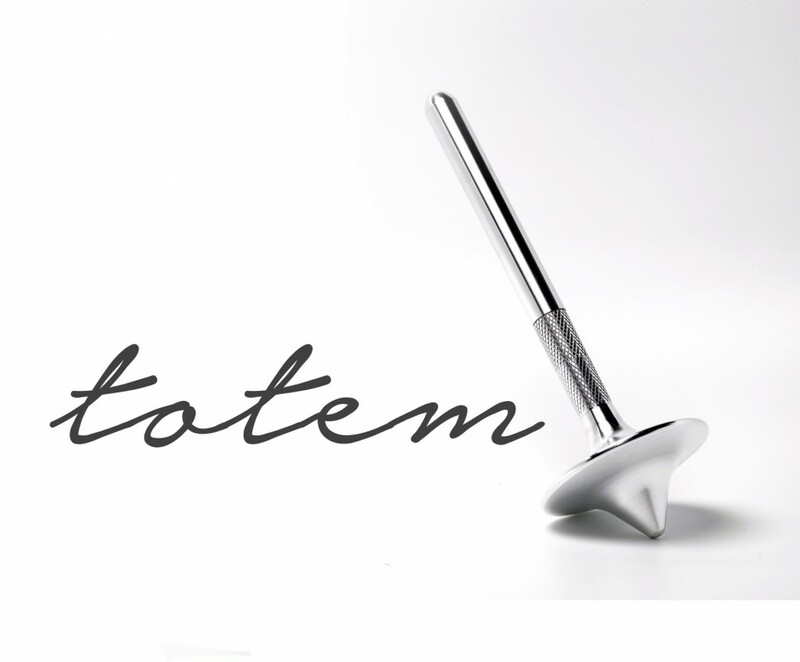 The Totem pen can sit next to your other pens on your desk or it can proudly stand on its own. The Pen is entirely made in 6061 aluminum alloy with an AA10 anodized coating so that the parts will keep their metallic surface finish for many years. 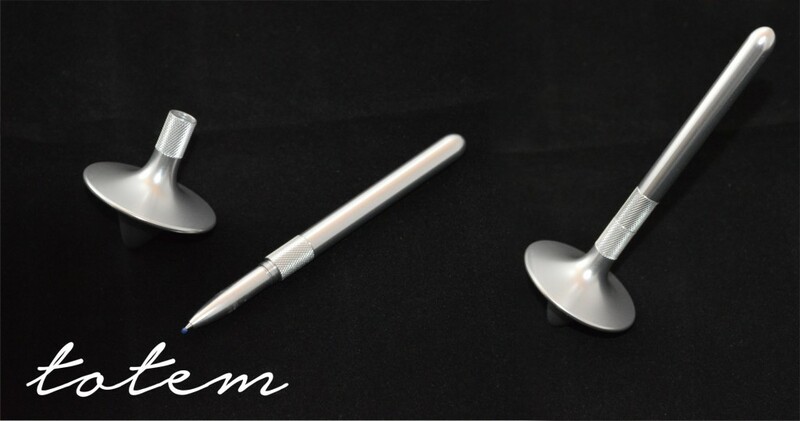 The Totem Pen is offered in two colors: Black and Natural (‘Silver’). Totem Pen uses standard G2 refills.